Jiangsu and Zhejiang are two important producing areas of spring tea in China. 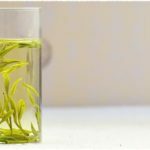 This article is going to give you some useful information by comparing Jiangsu spring tea and Zhejiang spring tea and listing their main characteristics. As a main green tea producing area, Jiangsu province has many high-quality green tea verities which are less affected by city life so far. In general, the harvest time of Jiangsu spring tea comes earlier than that of Anhui but later than Sichuan, almost at the same time of Zhejiang. Dong Ting Mountain located by the lakeside of Lake Taihu, together its neighboring area, is the major producing area of famous Bi Luo Chun green tea which is made of tender tips picked by farmers in early spring. The fresh leaves should be not longer than one inch and like the tip of a spear. Half a kilo of tea uses more than 60,000 spears! It&apos;s no surprise that some of the finest Chinese teas are very expensive. The finished tea leaves are compact, tender, wonderfully fresh, aromatic and venerated as the queen of China tea for the saying that Bi Luo Chun is capable of having its flavor unchanged even more than one hundred years. Almost all spring teas from Jiangsu are twisted in shape, that is to say, you can hardly see flat, strip-shape, and needlelike tea from Jiangsu province. In Jiangsu province, teas are often planted with fruit trees. This ecological intercropping way of growing has the advantages of bringing natural fruity flavor to tea leaves. Additionally, the de-enzyming and baking processing using lower temperature can largely enable the finished tea leaves to smell fresh and taste gentle. Making Jiangsu spring tea needs high level skills, it refers to not only high quality standard for fresh tea leaves but also to strict brewing and storage conditions. Overall, the average prices of Jiangsu spring teas are higher than others. Generally, the average price of Jiangsu spring tea is 30 percent higher than other spring teas. But there are always exception&apos; famous Zhejiang Longjing as an example, the unit price of is incomparable. The phenomena of faking Jiangsu spring tea is not as severe as other teas partly because most of Jiangsu spring tea brands have their own brand protection awareness. More, to fake twisted tea, Pi Lo Chun in particular, is unprofitable and time-consuming. Of course, faking green tea it is illegal itself. Those breaking the law face heavy fines or will be sent into jail. These are the main reasons why dishonest merchants have little interesting in faking Jiangsu spring tea. The flavor of Zhejiang spring tea is constantly changeable. 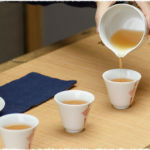 Even for the same tea picked from the one and the same tea garden and processed with same way and brewed in the same teapot with the same water, their mouthfeel and flavor still varies from year to year due to the reason that weather conditions constantly changes. No other tea producing areas in China have so many spring tea brands like Zhejiang. Leaded by some famous tea brands, there also coexist various kinds of smaller brands whose number can reach up to 1,000 by a rough estimate. Facing so many different brand names is itself a dazzled thing, not to mention making a wise decision to buy them. Zhejiang spring teas are well known for their strong taste/flavor. Quite different from Sichuan and Jiangsu teas, most Zhejiang spring teas are processed by high temperature and re-firing process, therefore they have slightly stronger taste and mouthfeel compared with other spring teas. It is also due to the fact when making Zhejiang teas more importance has been given to their taste than shape no matter by either hands or machines. 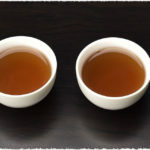 In recent years, many fake teas which pretend to be the authentic Jiangsu brand appear in the markets in huge amounts. Mostly, these teas come from Sichuan and Yunnan where spring teas picked about 15 days earlier than those in Zhejiang. It is just for this time difference, the illegal acts of faking famous Zhejiang spring tea happen again and again. As an important model tea cultivation province, Zhejiang is always the home of new-type teas. Many new advanced tea species need to be grown here first. Compared with those original ancient tea trees, new improved high-yield tea has the advantage of high output, however, from the nutritional point of view, the nutrition’s distribution in them is not symmetrical and its taste is inferior to primitive breeds.